Did you ever make flower baskets and hang them on the neighbor's doors on May day? The little boys and I used to do that -- as Gretchen Rubin says, "The days are long, but the years are short." I'm writing today's post on an Apple computer, so if things look a bit different, blame that! We have a special guest "finisher" this month. It's my courtesy niece, Faith. I'm having so much fun sewing and painting our nails together! Faith made this quilt for her teacher using a V Christensen "Color Theory" charm pack and a Villa Rosa Designs pattern, "La France." Cute and super easy! 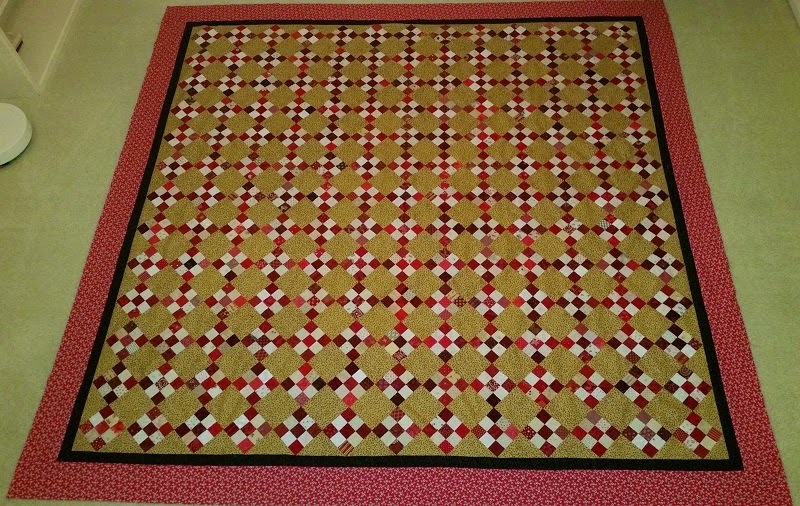 Sandi finished "Checkered Past," a free pattern from Barbara Brackman. She calls it "Kuriosity," of course -- must have a "K" name! Details and a link to the pattern are on Sandi's blog, KwiltnKats, here. 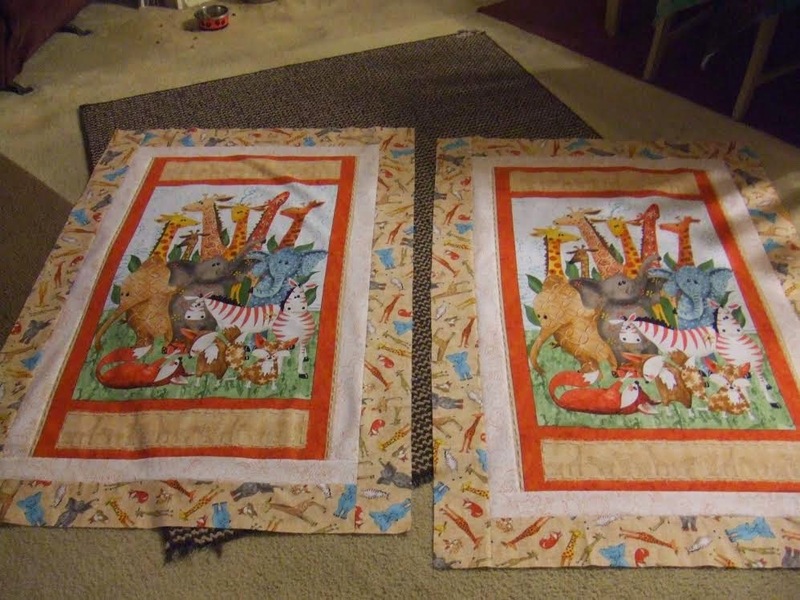 Debra B. made some cutie-patooty baby quilts this month! (Panels from Cozy Quilts in El Cajon, CA, in case you want some!). Walled Garden by Sheila Sinclair Snyder was done Patriotic-style - at least an attempt was made. I thought I had all of the diagramming done correctly and from the looks of it - that wasn't the case. 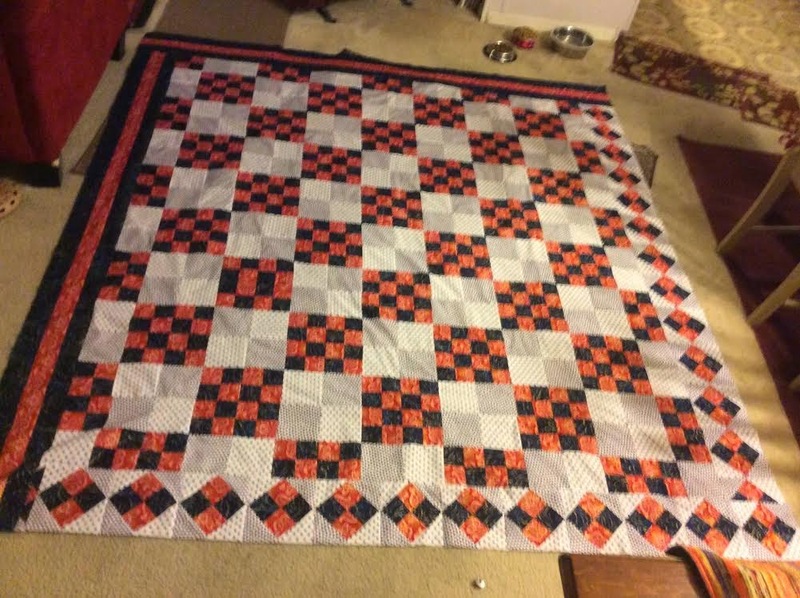 I am a little disappointed, but I learned one thing in making this quilt - a designer I am not. I still like it, Debra! Kerry's April finish is from Bonnie Hunter's "Adventures With Leaders and Enders." 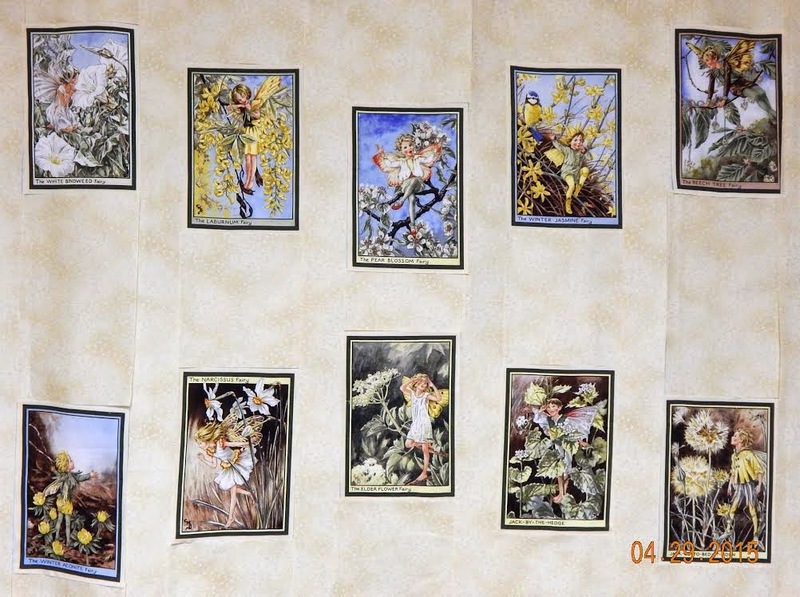 It's "Sister's Nine Patch," and you can read all about it on Kerry's Quilting blog, here. Her second finish is "Lozenges," Bonnie Hunter's 2014-15 leader/ender project. BTW, Bonnie's new "Leaders and Enders" project will be announced next month! 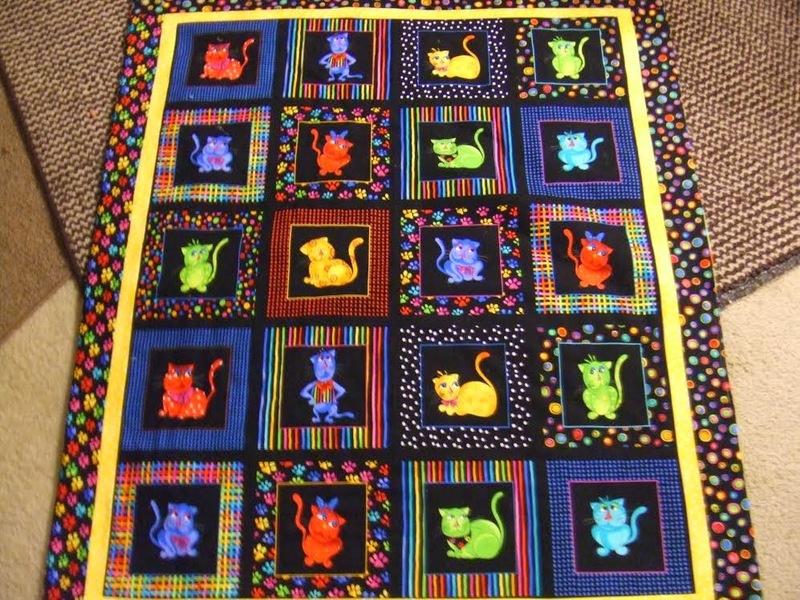 More details on Heather's quilts are at her blog, Peachy Pages, here. Nancy's blog post is titled "Work Gets in the Way." Which is why she has the blocks finished for her Vintage Modern quilt, but they aren't sewn together. That's OK, Nancy, finishing the blocks was your goal and you reached it! Here's Donna's UFO for this month. She writes, "Someone (I can't remember who) gave me a fat quarter of the yellow print and I fell in love with it. I have looked everywhere and can't find any more so I used most of it in as large a block as I could so that it would definitely be noticed. It is such a cute print!" I have to agree, Donna! Mary says the UFO Parade was just the "little push" she needed to finish this Fairies quilt she has had "for years." So cute, Mary! I hope I haven't missed anyone's UFO this month. I'm away from home and using a friend's computer, so I'm never sure I'm getting everything right! Please let me know if I missed you, and I'll edit the post! 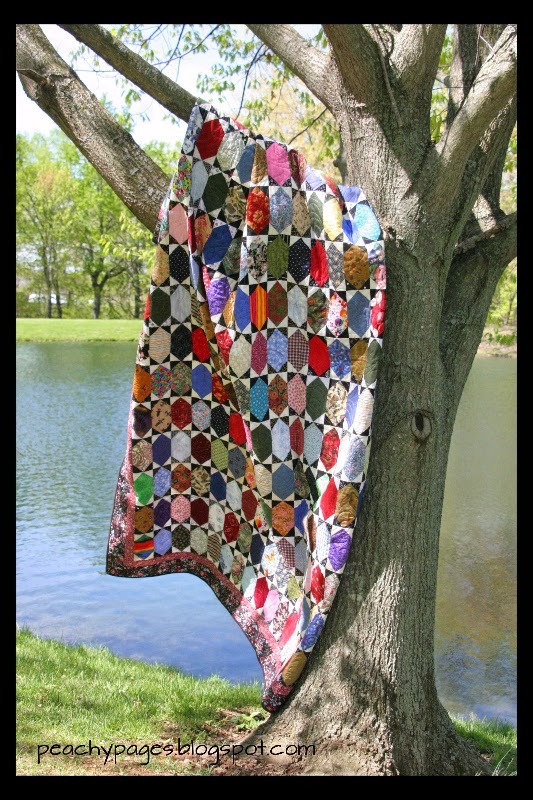 Texas quilt/yarn shop report next Sunday, May 10! All nice finishes for the month. It's great to see them all done!!! We used to do the May baskets in our neighborhood. It was always fun. Great parade everyone!! Way to get them all finished. Happy Mayday! 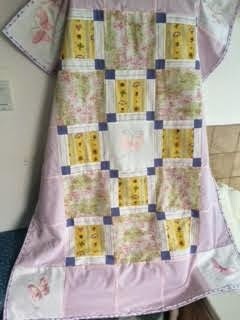 Very nice quilt that your niece made! 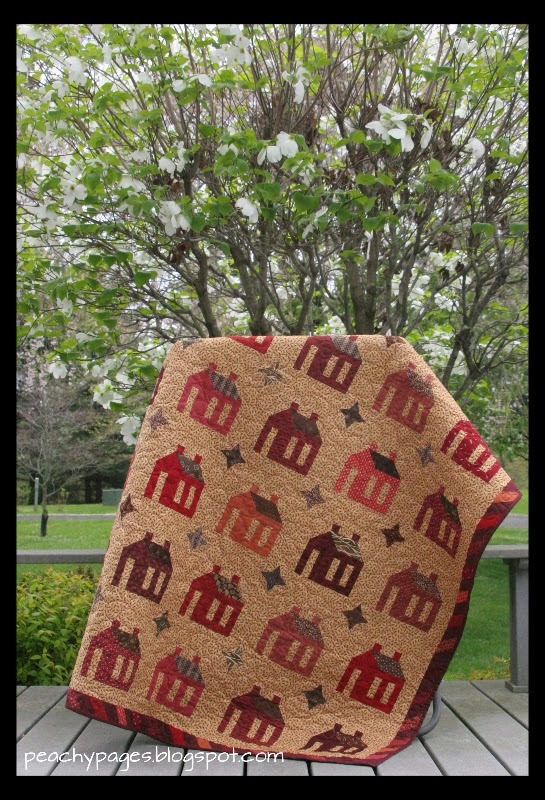 Love the other quilts too, and I look forward to the Texas report. I'm just a little homesick. And I've not sewn a stitch in like 2.5 months! Lots of lovely finishes again this month. Well done everyone! Sadly another month slips by without a finish from me. Can't wait to get this house on the market and then sold so we can start looking for one with a sewing room! 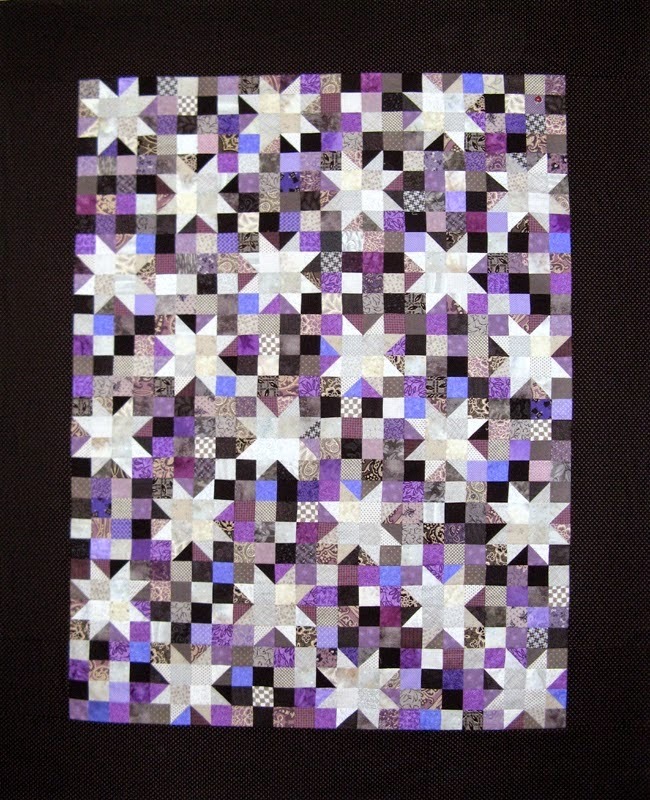 Lots of great quilts - this month I'd go for Kuriosity - being purple I cant resist. HOLA AMIGA, ES UN PLACER SALUDARTE Y DE PASO FELICITARTE POR TAN BELLAS CREACIONES, ESTÁN HERMOSAS... TE INVITO MUY CORDIALMENTE A QUE ME VISITES, VEAS MIS CREACIONES Y DE PASO TE UNAS A MI SELECTO GRUPO DE AMIGOS, YO YA ME UNÍ AL TUYO. BUENO UN SALUDO, BESOS, BENDICIONES Y UN FUERTE ABRAZO DE ESOS ROMPE COSTILLITA..